Scrappelises blogg: Vintage Xmas A-B-C book. 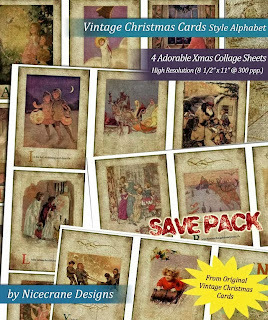 I was so lucky to get the most adorable Xmas imagecards from NICECRANE DESIGN. And I am very happy how this turned out when I decided to make a little abc-book and was able to use all the cards at the same time. If you are looking for any kind of images, pre-colored, ready to use, or you like to do the coloring yourself. the place to find it is over at NICECRANES. You will find lots and lots of all kind of lovely images. It is a true adventure for everyone, stamper, scrapbooker or you just only like to look at something beautiful. I`m joining these challenges with my creation. EVERYBODY ART CHALLENGE, use 3 punches. VINTAGE CAFÈ CARD CHALLENGE, color marathon brown nuances. DREAM VALLEY CHALLENGES, use buttons. Wowwwwwwwww, what a great idea to use my Christmas Pack to create this AMAZING ALPHABET BOOK, Anne,,,,love the 3D effect,and the vintage look. Spo cute, so unique, You are really talented Anne,,,Thanks for sharing it. Herlig bok du har laget Anne Lise :-) Ha en flott torsdagskveld! LOVE IT! Thanks for joining our challenge - 3 punches - at EAC. Oh my this is completely gorgeous!!! Очень душевная и приятная работа и девчушка какая миленькая! Спасибо за творчество с Vintage Cafe Card Challenge! Обязательно ждем ваши работы в следующих наших заданиях! 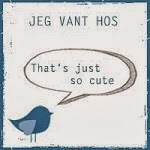 Bare noen kort - just a few cards.